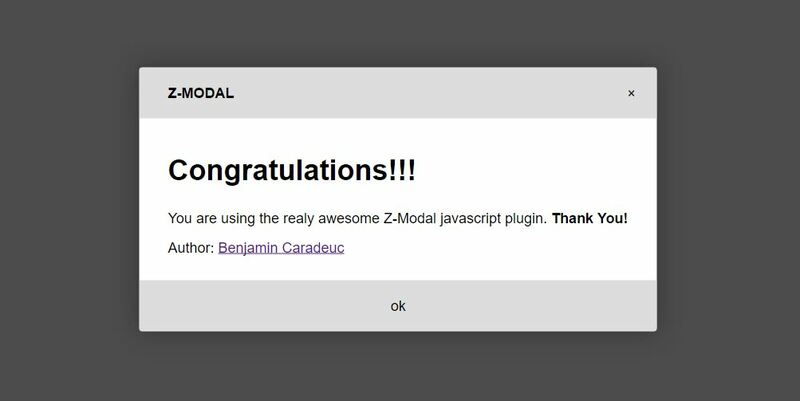 Today, the “Z” library is welcoming a new plugin! As usual, I developped it without any third party library or framework, so it is usable as-is. This tool will allow you to create beautiful & customisable modals easily with callback interactions. There is a set of options and methods you will be able to use, everything is explained in the documentation. The code is available on GitHub, feel free to contribute or comment!